Length: We strongly encourage you to make sure that your child’s tape is between 5-10 minutes in duration. Content: ONLY PARENTS AND LEGAL GUARDIANS MAY SUBMIT A TAPE ON BEHALF OF THEIR CHILD. WE ENCOURAGE YOU TO TAPE YOUR CHILD; WE WANT TO SEE YOUR CHILD THROUGHOUT ALL OR MOST OF THE HOME TAPE. Please make sure we can see and hear your child clearly. The home tape is to get a good sense of YOUR CHILD – where you live, your family, what your child loves cooking, what your child enjoys doing apart from cooking, etc. We need to SEE YOUR CHILD IN ACTION and we want to see your child’s PERSONALITY!!! Be as creative, big and bold as your child can! There is no “right” or “wrong” thing to say on tape, we just want to get to know your child. Have fun with it and make it as personal as possible. Please do not edit the tape or add music, we prefer raw footage. We strongly recommend that your child does not wear any clothing on the tape which includes any logos, photographs, artwork/drawings, posters, or any other copyrighted material and we strongly recommend that no logos, photographs, artwork/drawings, posters, or other copyrighted material are included on the tape. 2) Please have your child state his or her name, age, what city/town you currently reside in and what his or her current grade is. 3) Please have your child give us a tour of your home and introduce who your child lives with – family / siblings etc. 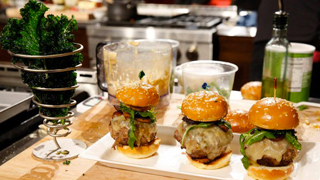 4) We would of course love to see your child in the kitchen showing off their cooking skills! Show us your child’s cooking utensils, plating skills, pantry, favorite ingredients (especially ones that make your child stand out), etc. AS YOUR CHILD IS NOT COMING TO AN OPEN CALL, YOUR CHILD WILL NEED TO COOK & PLATE A SIGNATURE DISH. Have your child tell us what food/cooking means to them and their cooking experience. How does food play a role in his or her life now? Where did his or her inspiration for cooking come from? Has heritage played a part in his or her cooking skill? If yes, how so? How often does your child cook? How often from recipes and/or from scratch? Has your child had any training in the kitchen? What kind of cook are they? What type of food does your child enjoy cooking? What does your child think makes him or her a good cook? Outside of food, what wouldn’t we know about your child based on our first impressions? We also want to know about your child’s personal life (hobbies, accolades, goals, etc). Deadline: Postmarked by Wednesday, March 20, 2019 at Midnight, PST* (the sooner the better!) to be considered. 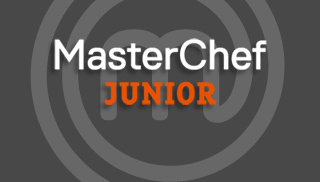 “MasterChef Junior Season 8 Casting”. • Make a copy of your child’s tape to keep in case anything should happen to it. • Your child’s home tape will become the sole property of the Producers. Please note these home tape submission instructions are subject to change as determined by the Producers. These home tape submission instructions are suggestions not requirements; Producers reserve the right to select individuals who do not comply with all or some of these home tape submission instructions to participate in the series. The parents of all those considered for the series will be required to submit and sign additional documents (which may include, without limitation, a participant agreement, waiver, and series rules) in order to participate in the series. If there is any conflict between the information on thiswebsite and the foregoing documents, the foregoing documents shall control.